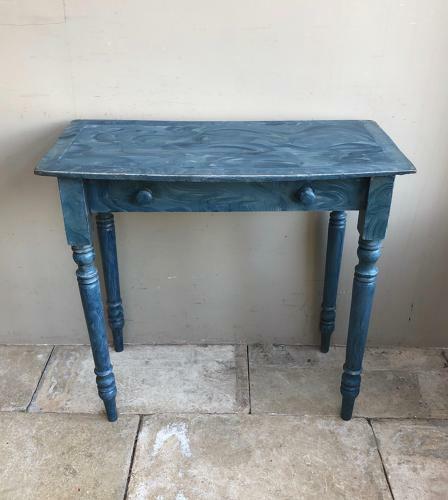 Pretty Victorian Pine Side Table in Lovely Condition & Great Paint. The paint has been refreshed in places but is original. Two knobs but false drawer front. Collection or Courier only. UK £45.